Download 'Fantasy Land' from iTunes! 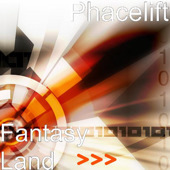 Brand new releases You can now buy previously unreleased Phacelift tracks on iTunes. The latest release in 2012 is Escape from Planet Weird. 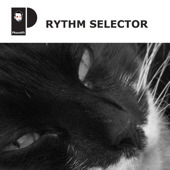 Also available are 'Fantasy Land' and 'Rythm Selector'. The latter is the latest track made and both are released independently, so no record labels involved. A new Magus album has been released in 2011, exclusively on iTunes and then other music download services online. It features seven previously unreleased tracks from the years of the Magus era, re-mastered material from the studio. You can now preview the album on iTunes Magus - "The Music That Never Was"... You can also check out the new Magus Youtube channel. New Phacelift logo A great artist from Thessaloniki, Greece has rebranded Phacelift and introduced a new image. More news to follow soon. New enhanced audio section You can now find some useful information about setting up a new studio. Things to watch out for and some useful links for amplifiers, speakers, computer screens, MIDI controllers and audio software. Read the latest news headlinesPhacelift has teamed up with the PsyTrance music weblog and the progressive trance blog to bring you the latest news. Psychedelic book section added Psychedelia is more than parties, music and psychotropic substances. Read more about the philosophy of the psychedelic experience including a dedicated section to Carlos Castaneda. Text Link Ads script error: local_6623.xml does not exist. Please create a blank file named local_6623.xml.